Still stuck for Christmas present ideas? 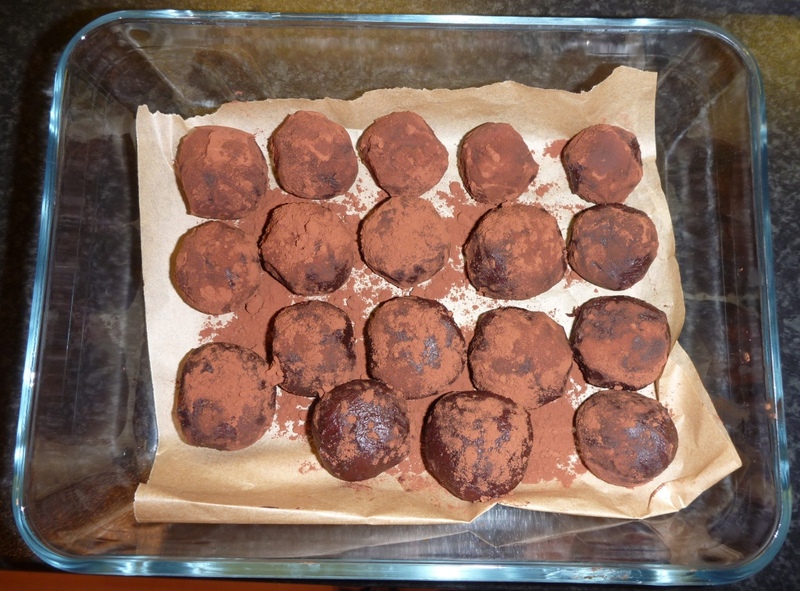 Well, this simple recipe for Tia Maria Truffles is just perfect for the ones you love, just make sure you don’t eat too many on the way. Add the butter and chocolate into a saucepan. Heat gently, stirring until the butter and chocolate have melted. Add 1/2 the icing sugar. Stir until the mixture is thick enough to handle. Stir in the Tia Maria and cocoa. Add enough of the remaining icing sugar to a make a stiff mixture. Using a small teaspoon or melon baller measure the mixture and shape into small balls. Roll truffles in cocoa for a luxury finish. Chill until firm and enjoy! For presents why not add the truffles to a gift box lined with tissue paper – simples! Next Post Christmas baubles & stars – Nigella eat your heart out!